In a unique study, researchers at Lund University in Sweden have mapped the origins of migratory birds. They used the results to investigate and discover major differences in the immune systems of sedentary and migratory birds. The researchers conclude that migratory species benefit from leaving tropical areas when it is time to raise their young, because moving away from diseases in the tropics enables them to survive with a less costly immune system. "What really surprises me is that the immune systems of migratory birds show a similarly low variation to that of European sedentary birds. 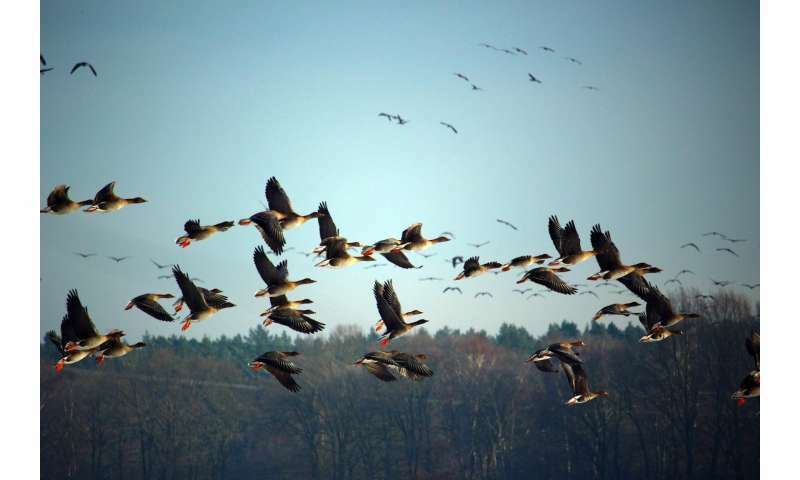 After all, migratory birds don't only need to resist diseases in Europe, but also during their migration and in the tropics," says Helena Westerdahl, one of the researchers. "When the migratory birds breed, they have moved away from many diseases and therefore do not need an immune system that is equally varied. Another advantage is that the risk of damage caused by the immune system drops considerably if the immune system is less complex," says researcher Emily O'Connor.